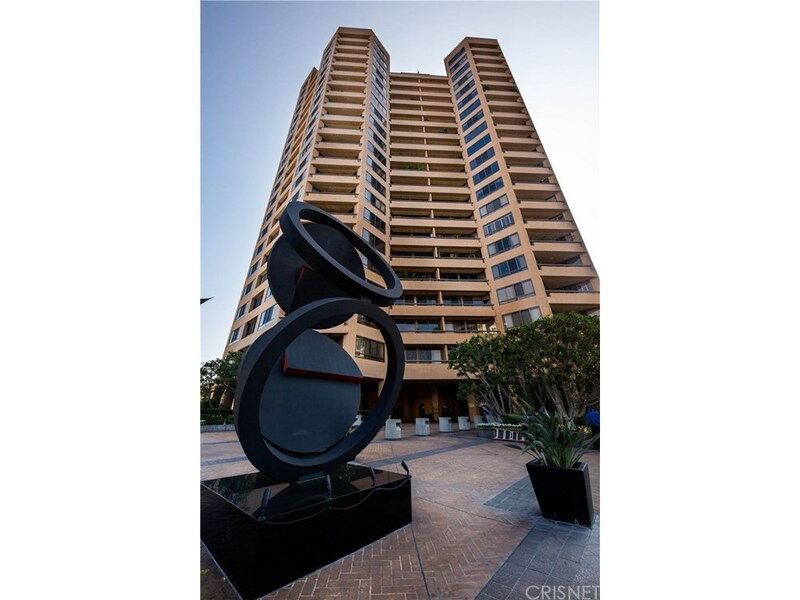 Rare offering at the Mirabella on the Wilshire Corridor! Desirable southeast corner unit with panoramic views to the ocean and Catalina. Full service building with luxurious lobby, valet, concierge, gym, pool, spa, saunas, and conference room with catering kitchen. Double doors open to foyer and spacious living room with hardwood floors, wet bar, and terrace. Adjacent den/library. Kitchen with sunny breakfast room. Master suite with walk-in closet, two additional wardrobes, and bathroom with separate shower, spa tub and bidet. Second en-suite bedroom is on opposite side of unit. Ideally located within close-proximity to UCLA, Beverly Hills and Century City shopping and dining.